Lanier Frantz loved flying. However it was expressed - as long as it was in the air - he loved flying. He taught other people to fly, but, mostly, he taught his own daughter Cole Frantz Semones, to fly. Lanier earned Silver Badge #545 (1961), Gold #175 (1963), Diamond #49 (Intl # 456, 1966) and the Symons One Lennie #91. The essence of love is to teach others that same love and he did so with his daughter. She earned Silver #5814 in 1995 and legs of the Gold distance in 1996 and Diamond goal and altitude in 1996 and 2004. Cole expressed her love of soaring in competition throughout the country and did well in various regionals and nationals. Lanier Frantz was introduced to soaring in 1956. Only ten years later, in Eastern type soaring, he had earned his Diamond Badge #49. He acquired a Schweizer TG-3 and a Waco UPF towplane. In 1962 he organized soaring clubs and camps in North and South Carolina, where he introduced many to the pleasures of soaring. Lanier Frantz chose to devote his love of soaring to helping other people. 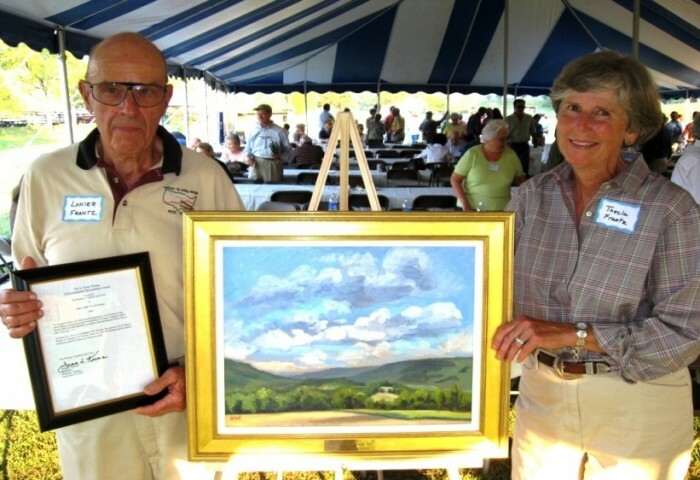 He was instrumental in forming the Blue Ridge Soaring Society. Since he was a farmer with property in the area, he decided to establish, on his personal property, the New Castle International Airport for the use of sailplane pilots and general aviation. It was here that the club flourished and prospered. 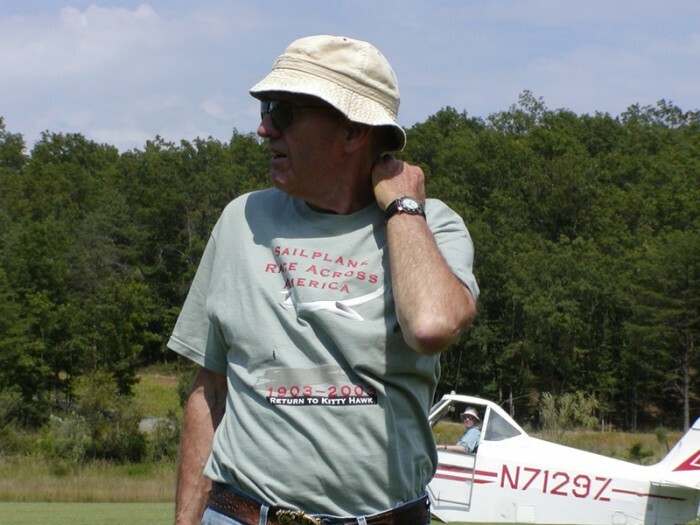 Although his main interest was helping others to fly, he did compete in regional and national competitions - but for the joy of soaring - not just the competition. The Return to Kitty Hawk was a transcontinental sailplane race from coast (Los Angeles) to coast (Kitty Hawk) and came through Lanier's area in 2003. They were celebrating the 100th anniversary of the first powered airplane flight which the Wright Brothers achieved in 1903. As he did with every soaring group, he welcomed them and urged them on to completion. His love of soaring and the natural beauty around him made him appreciate the grandeur of nature. He and his wife, Thecla, received recognition for their accomplishments in this regard. They also, together, received the Spratt Award in 2000.